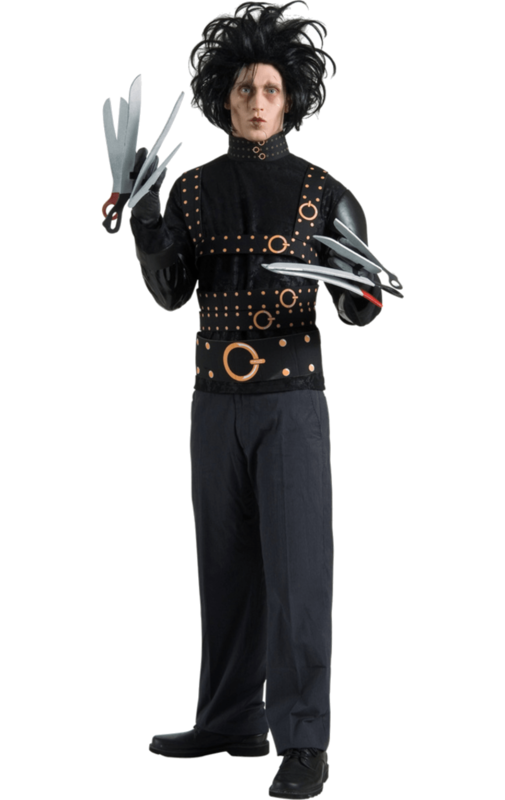 We bring you this fantastic Official Edward Scissorhands costume from the 1990 film by Tim Burton. 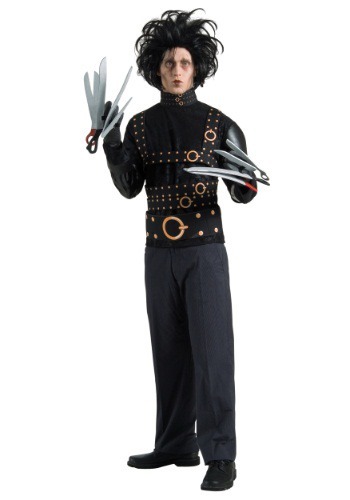 Edward Scissorhands’ look is created by a long sleeve black top with a faux suede look. With a foam collar, foam straps down the front only, vinyl polyester sleeves with a left faux leather shoulder cuff and faux leather separators. Printed detailing finishes the top to give a great buckle effect. There is Velcro fastening at the base of the neck for easy fitting. 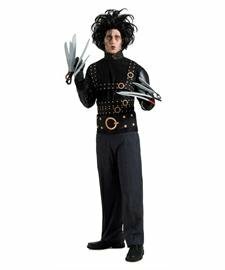 You can’t be Edward Scissorhands without his mad looking hairstyle. With this outfit you get a synthetic fibre black wig. We do recommend that you need to spend a minute crafting the look with a comb in a mirror. Add our wig cap for a comfortable fit. 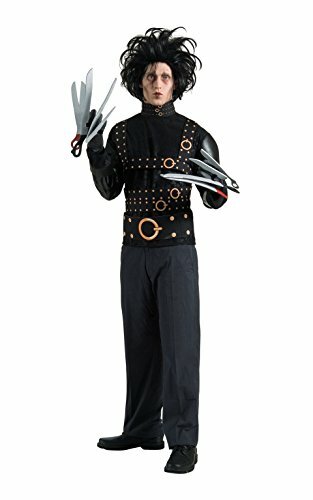 The finishing touches are the pair of Edward Scissorhands fancy dress gloves with 15″ long scissor blades on each finger with a metal popper fastening. Don’t worry though the blades are made of foam so will not create any damage as per Edward and are flexible enough to hold a drink without any trouble. You will need a pair of your own trousers to create the desired look.